Hey, the time is almost upon us. 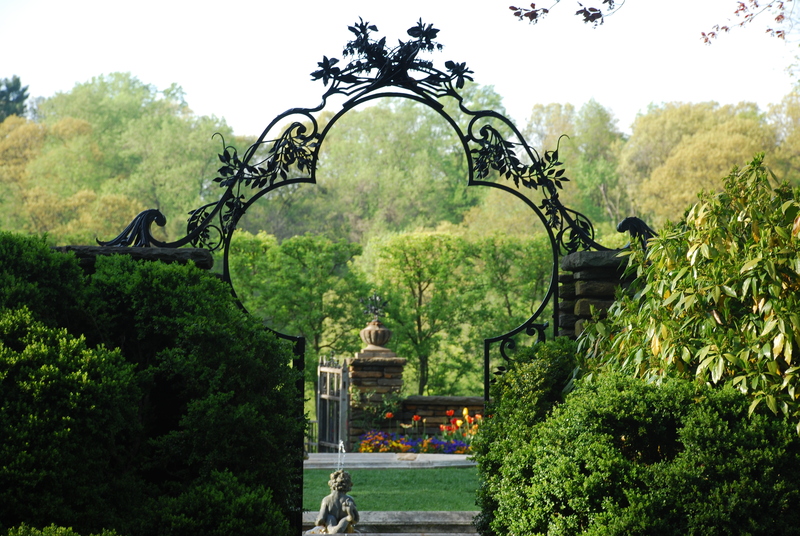 Starting July 10th, Dumbarton Oaks will shut down their gardens to the public until next spring. So hurry over there for one last lazy walk through the grounds. The exhibit examines the fashionably dressed, urban woman of the late nineteenth century in thirteen works collected by institution’s founders, Mildred and Robert Woods Bliss. The Blisses admired the art of the French Impressionists and Post-Impressionists and were especially fond of the paintings of the Belgian artist, Alfred Stevens. Five of his paintings in this exhibition are on public display for the first time. The manufacture of copper and its alloys, such as bronze, was well known in Mesopotamia and Egypt in the fifth and fourth millennia BC. The temporary display and juxtaposing of bronze sculptures that span more than fifteen hundred years aims to draw attention to the highly specialized techniques applied by the makers of metal sculpture. It invites to ask questions of craftsmanship, use, and the meaning of these works in bronze. When the Blisses resided in Paris, they developed their collecting interests and passion and became especially intrigued by “unusual” objects that were newly available at the avant garde art dealers’ shops. The textile rotation features late Roman and early Byzantine hangings and curtains in tapestry weave used in private as well as religious spaces, alongside looped and woven garments from the Andes, where elite individuals displayed their wealth and status by wearing clothing in dazzling colors and patterns. This display from the Ephemera Collection shows how a single historical figure—the sixth-century Byzantine empress Theodora—captured the public imagination at the end of the nineteenth century through film, theater, opera, and even buttons. This exhibit displays materials from the Rare Book Collection to explore the past and present of three major European cities (Amsterdam, Florence, and Paris).